Most of the celebrities like to reveal their relationship status to the public. It is like a trend to some but some keep their relationship behind a closed door. The American footballer, Larry Fitzgerald is somewhere in the middle of it. 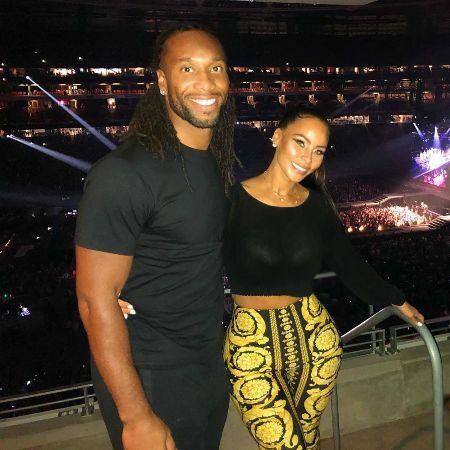 Larry Fitzgerald is not married to anybody yet, however, the American footballer is dating Melissa Blakesley who is the mother of his second child, Apollo Fitzgerald, (born April 23, 2013). Fitzgerald and Blakesley like to keep their relationship relatively low profile. Larry rarely shares pictures of themselves on social media, however, Melissa frequently shares pictures of them on her respective social media account. The rumors of them dating dates back to 2014 but they kept it hidden successfully. Their relationship affair was first pointed out by fans when the couple attended a wedding ceremony in Four Season, moreover, Larry's fans are already seeing Melissa as his wife. Well, his dating life doesn't just end there. 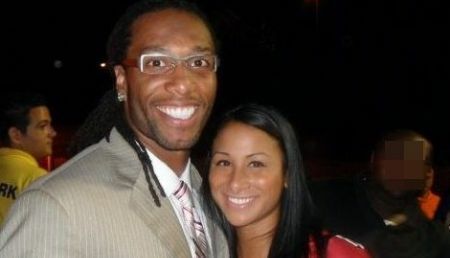 He also dated another girl in the past, Angela Nazario. Nazario worked as a cheerleader in the past and, in all honesty, the footballer seems as if he couldn't resist the charm of Nazario. 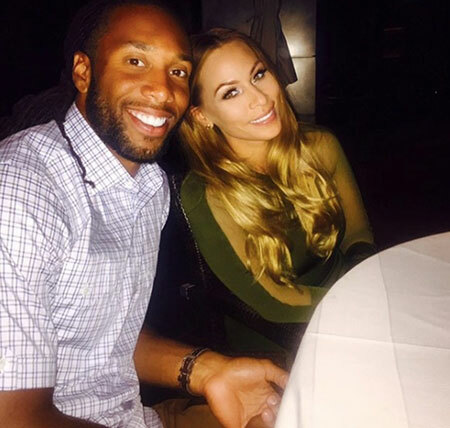 The American cheerleader and Larry first met during his game, however, there's no reliable source that can confirm whether how did they first met. Though their relationship couldn't stick together for a long time, the couple got blessed by a child, Devine Fitzgerald. At the time of them dating, Fitzgerald was 13 years older than Nazario. Things started to turn out pretty foul in the pair's relationship and Nazario even accused him of domestic violence. There were rumors that he was dating Brooke Stewart in around 2016, well no official confirmation has come about it. The footballer is enjoying a good life with his current girlfriend and he is close to both of his children. 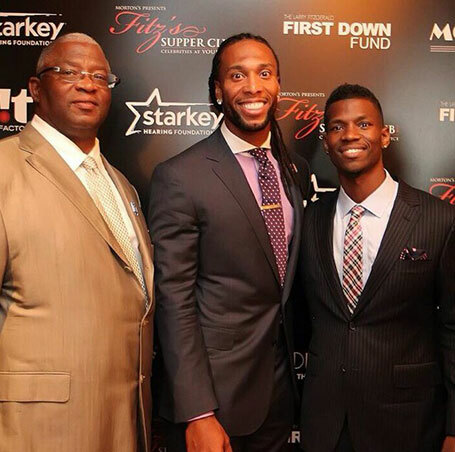 Larry Fitzgerald lost his mom, Carol Fitzgerald in 2003 to breast cancer. His mother even suffered from a brain hemorrhage. In the memory of his mom, Larry Jr. still carries his mother's driving license with him. Moreover, Larry comes from a family who loves sports. 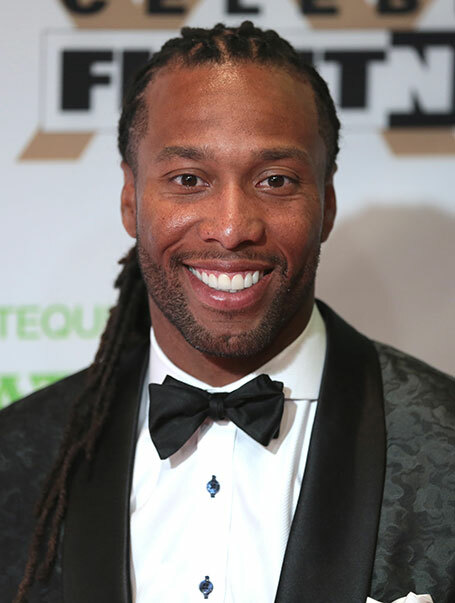 His father, Larry Fitzgerald Sr. was a sports broadcaster and football player even though he didn't become a professional. His younger brother Marcus is also a football player. Larry is quite close to his brother and father. He was born on August 31, 1983, (Age-35) in Minneapolis, Minnesota. His net worth is over $50 million. He is 1.91m in height and 99kg in weight. He attended the University of Pittsburgh, where he played for Pittsburgh Panthers Football.